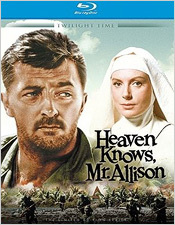 Heaven Knows, Mr. Allison was released in 1957 by 20th Century Fox in the CinemaScope format. Based upon a novel by Charles Shaw. the film stars Robert Mitchum as Mr. Allison, a marooned marine, and Deborah Kerr as Sister Angela, a sweet but cautious nun. 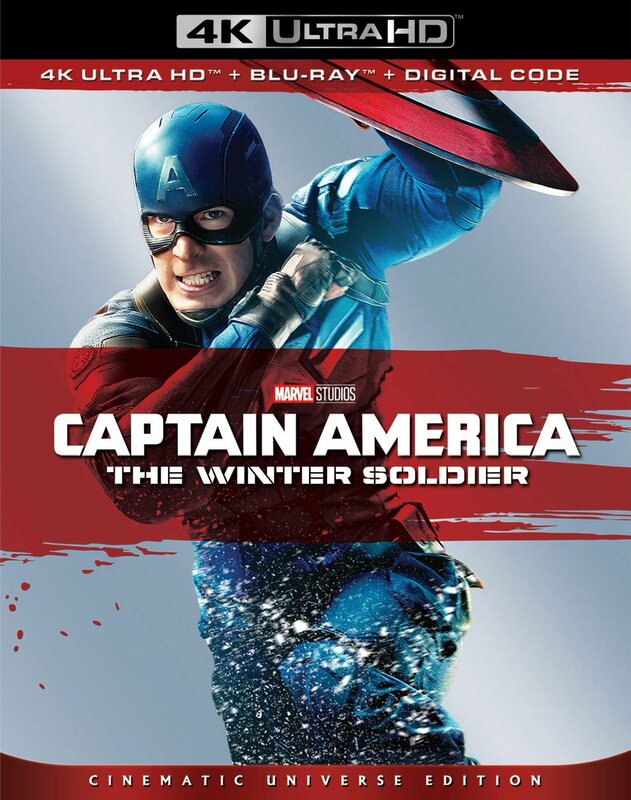 The two meet on an island during World War II and must stick together in order to stay hidden from Japanese soldiers. The film was directed by John Huston, who also directed The African Queen. Heaven Knows, Mr. Allison feels sort of like a companion piece to The African Queen as they have similar aspects, most notably the notion of two unlikely people coming together during overwhelming times. Whereas The African Queen focused on an eventually blossoming romance, Heaven Knows, Mr. Allison charts a different course for itself. Both Deborah Kerr and Robert Mitchum give terrific performances as their unlikely relationship blossoms into something more. Kerr, in particular, struggles inwardly about her life choices and whether she has made the right decision about giving her life over to God. She never says any of this out loud, but it’s all in Kerr’s fantastic performance as she struggles to bottle up her emotions and keep them hidden away. Instead, her reactions give her away. Mitchum, meanwhile, is always attempting to please Angela and be respectful of her, despite his feelings towards her. It all comes to a head in one of the best areas of the film when Mitchum drunkenly admits his feelings, attempting to lasso her in with pity. It’s a powerful set of scenes between two characters who obviously care a great deal for one another, but whether or not they plan to take it anything past friendship is another thing altogether. The score for the film is perhaps its greatest flaw. It comes off as out of place at times, especially during any scenes involving Mitchum’s character hiding from Japanese soldiers. At times it drives the lightheartedness of the story home, but at other times it just feels plain unnecessary. A better example of this would be during the opening credits. We see Mitchum’s character in a raft floating aimlessly at sea as the credits fade in and out, signifying that he has been at sea for quite some time. Unfortunately, the score also fades in and out, and it’s very unsettling, to say the least. It’s effective at grabbing one’s attention, but I don’t think that it’s what the director had in mind at the time. Despite the film drawing strong comparisons to Huston’s other unconventional love story The African Queen or, to a lesser degree, Powell & Pressburger’s Black Narcissus, Heaven Knows, Mr. Allison is its own entity. Huston’s strong direction and Kerr and Mitchum’s excellent performances make the film one of the cinema’s most unlikely minimalist love stories. Twilight Time’s Blu-ray transfer of the film features a very soft presentation, one that seems to be hiding a lot of detail. This transfer seems to be derived from an older HD master of the film. The overall softness and consistent amount of edge ringing give itself away. Grain is present, of course, and the color palette is never totally even. Skin tones waver between frames at times, as does the color palette itself. It’s never completely all the way through the presentation, but enough to notice. Contrast is generally good, as are black levels. It’s not a horrible presentation, and even without a proper restoration of the film, this is still likely the best the film has ever looked on home video. For the audio portion, we’re treated to an English 2.0 DTS-HD track stemmed from the original mono. 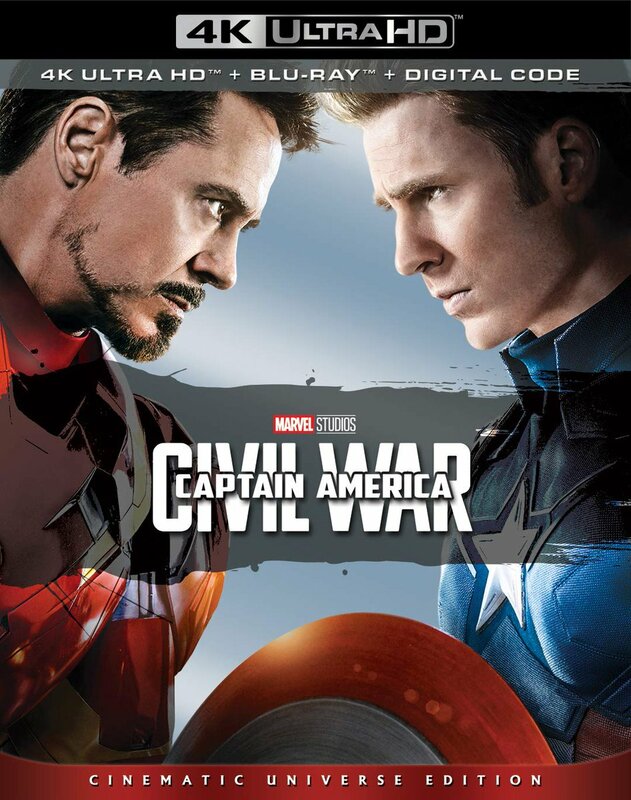 Dialogue is always clean and clear at all times, but the sound effects and score don’t seem to have much heft to them. They’re a bit flat in nature, never sounding very strong. The overall fidelity is pretty good, but there’s just not much life to the track itself. However, it’s good enough, and this is more of an intimate film than a bombastic one anyway, so stylistically, it works for what it is. There are also subtitles in English SDH for those who might need them. In the supplemental department, there’s a set of Movietone News reel highlights that relate to both the war and the film itself, the film’s original theatrical trailer, an isolated score and effects audio track in 2.0 DTS-HD, a scroll-through of the current Twilight Time catalogue, and an insert booklet with a 6-page essay on the film by Julie Kirgo. Overall, I’d say this is a somewhat satisfying release of Heaven Knows, Mr. Allison on Blu-ray. The presentation and extras leave much to be desired, but if this is a title you don’t already own, I’d say check it out. If you do already own it and were considering upgrading, then your reservations might very well be justified.